Yamada Shoten has been a bookstore since 1938 in Kanda, Jinbocho section of Tokyo. We often hear comments such as "Many bookstores in Jinbocho sell art book, but don't sell original works of art...",and "I have seen Ukiyoe at museums but they were not available for purchase." However we meet the needs of our customers. 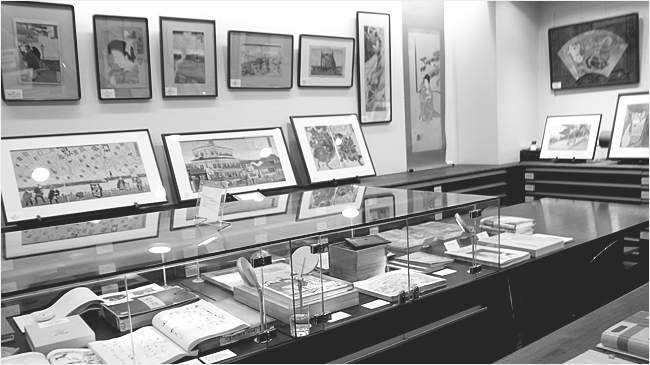 Our "bookstore"is more like "gallery" with many original works of art. Of course we have a good collection of art books, exhibition catalogues and catalogue raisonné, as we call ourself "bookstore". You can always see a big selection in the store, we also try our best to honor your requests. We are happy to help you to find original works of art and art books.